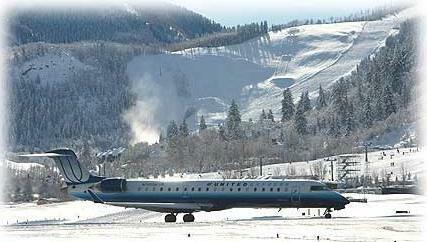 Eagle County regional airport is one of the most reliable and convenient ways to get to the resorts. here are some quick facts about the airport: In our opinion this is the best airport to get to and from your Colorado mountain vacation. -Direct Flights: EGE offers direct flights from: Denver, LA, Dallas/Ft. Worth, Houston, Miami, Atlanta, Newark, NYC/JFK, Toronto, Chicago, and Minneapolis St. Paul. Taking only one flight to get to the mountains without having to deal with layovers and plane changes cuts down on travel time and frustration. -Drive Time: EGE is local drive time is about 1.5 hours from Aspen Snowmass and 45 minutes to Vail. -Reliability: EGE has a long runway and approach that can accommodate larger aircraft, It's also less prone to weather diversions and delays. Denver International Airport is the largest airport in the country and boasts the largest runway in the United States. -Drive Time: DEN is about 220 miles from Aspen Snowmass. It typically takes around 4 hours to get from Denver International to Aspen Snowmass and about 2 hours to get to Vail. The route will have you traveling up and down two mountain passes that may close during winter storms and inclement weather. -Reliability: DEN is very reliable due to it's long approach and gigantic runways. 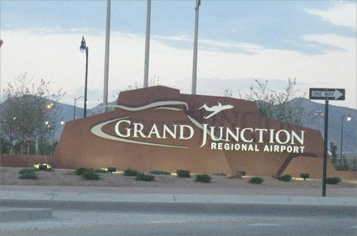 Grand Junction is a reliable airport often overlooked by travelers. GJT a great alternative to getting to your vacation. -Direct Flights: GJT has direct flights from: Houston, Dallas, LA, Denver, Salt Lake City, and Las Vegas. -Drive Time: GJT is about 2.5 hours from Aspen Snowmass with no mountain passes to go over. The scenery along the way is breath taking, with flat top mountains, extensive vistas and wide open spaces. -Reliability: GJT is fairly reliable due to it's relativity low elevation of under 5000 feet. The Aspen airport is the 2nd highest commercial airport in the country at an elevation of 7820 as well as one of the busiest single runway airports in the country. Drive Time: Depending on traffic ASE is about a 15 to 20 minute drive to either Aspen or Snowmass. Typically waiting for the plane to circle, get a landing slot, taxi, and unload will take more time than the actual drive. Reliability: The Aspen Airport is extremely close and convenient to the towns of Aspen in Snowmass, but due to the surrounding mountain terrain, the short narrow runway, and the steep approach, there is a chance that your flight into ASE will be diverted or canceled. The weather is a major consideration when planes try to land at ASE. It's a very safe airport because if there is any question of being able to land safely, the airlines and pilots will chose to divert or cancel the flight. When flights divert, The ones from Denver (DEN) end up going back to Denver (DEN) all other flights will divert to Grand Junction (GJT). If your Aspen (ASE) flight gets diverted call us and we can arrange for a vehicle to pick you up and take you to your destination. Rifle is a private airport located on a plateau at an elevation of 5548 feet above sea level. What makes this Airport nice for folks who fly private is that there are no commercial airlines that fly into it. The runway is 7011 feet long and there are many spaces for private jets to park while their owners are here. It's open 24 HOURS A DAY 7 DAYS A WEEK! Drive Time: Rifle is one of the most convenient airport options for general aviation. It's only a 1 hour and 20 minute drive from Aspen and Snowmass. It's also only a 1 hour and 20 min ride from the town of Vail. Rifle is a diversion airport for Aspen ASE airport and Eagle EGE. Why not save some time and hassle of waiting in a long line of planes at ASE and book your private car directly into Rifle? We would be happy to pick you up. Reliability: It has a long unobstructed approach which makes it easy for planes to land and take off in circumstances where there is inclement weather.